January 2, exactly 40 days have passed since the death of Vedzhie Kashka, a veteran of the Crimean Tatar national movement, a patriot of her people. A prayer service for the legendary woman was held in Crimea in this regard. Vedzhie Kashka's name today stands in line with such people as Yuri Shchekochikhin, Aleksander Litvinenko, Anna Politkovskaya, Sergei Magnitsky, Boris Nemtsov, Pavel Sheremet and many others who were killed telling the truth about Putin's crimes. On November 23, Kashka stayed with several other Crimean Tatar activists, including Bekir Degermendzhi, Asan Chapukh, and Kyazim Ametov in a café in Simferopol, a major city in the Russian-occupied Crimean Peninsula. The activists came to help Kashka with a financial matter; she had apparently loaned money to a Turkish man who did not return it. The meeting was disrupted by heavily-armed Russian FSB agents. The sting was organized to arrest the Tatars for the “extortion” from the Turkish man. During the search, detention, and arrest, Kashka fell ill, and was quickly transported to the hospital, where she died. The Russian occupation authorities attributed her death to “stress”, but did not openly acknowledge that the stress was caused by blatant entrapment and mistreatment by Russian state security forces. Kashka herself experienced all the burdens her people had endured. When she was a child, the NKVD, by order of the Soviet dictator Joseph Stalin, sent her and the entire Crimean Tatar people to Central Asia, killing all those who resisted. Kashka spent most of her adult life convincing officials of the Brezhnev era to allow her people to return to their native land. After Khrushchev’s “Secret Speech,” which shifted the blame for the Soviet state’s manifold crimes onto the shoulders of the deceased Stalin, the deported Tatars began to agitate for the right to return to their homes in Crimea. Kashka and her family returned in 1969, but the institutionalized discrimination and persecution of the Crimean Tatars was far from over. The land once inhabited by the expelled Crimean Tatars was settled by Russians, who were quick to bring the repressive weight of Soviet power to bear on the Crimean Tatars slowly trickling back to their vatan (homeland). In 1974, Soviet authorities attempted to expel Vedzhie Kashka, her husband Bekir, and their four children from their home once again. In response, she penned an appeal to the Moscow authorities. “Is it such a crime to be a Crimean Tatar?” Kashka wrote in the close of the letter. “You have made the whole world black for all of us.” Only after the legendary Soviet dissident Andrei Sakharov intervened on her behalf Kashka’s family was allowed to remain in Crimea unmolested. Kashka continued to fight for freedom of the Crimea even at advanced ages following the annexation of her homeland by the Russian invaders in 2014. 5 thousand Crimean Tatars came at her funeral. Her friends, activists and all those who knew something about this legendary woman speak about her with pride and reverence. Refat Chubarov, Chairman of the Mejlis of the Crimean Tatar people, Chairman of the World Congress of Crimean Tatars, called her death a murder right on the first day after the death of Kashka. “The FSB organized regular round-ups and pogroms, using even new methods of provocation. Arrests are quite possible. A hybrid war for the right to live in dignity in the homeland continues. The non-violent struggle of the Crimean Tatar people for their rights and freedoms is our contribution to the restoration of the territorial integrity of Ukraine,” Chubarov stated. Later, the Ukrainian Foreign Ministry expressed condolences in connection with the death of Vedzhie Kashka. 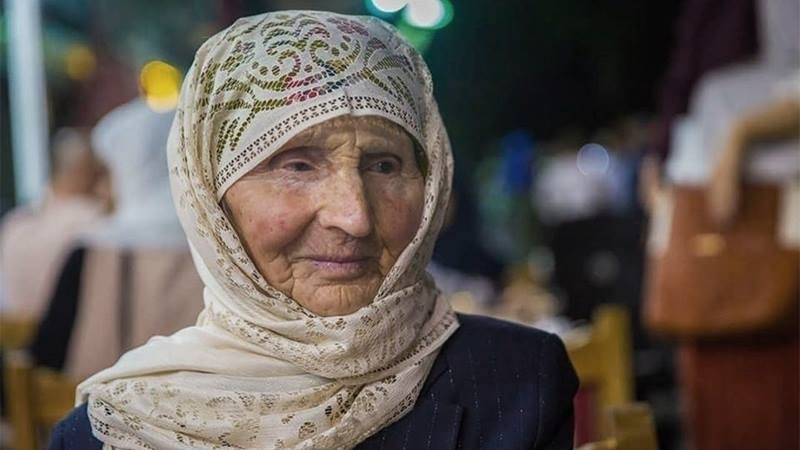 “Vedzhie Kashka was legendary woman and desperately fought for the return and peaceful life of the Crimean Tatar people on their land,” said Inci Bowman, President of the International Committee for Crimea and a Crimean Tatar himself. The Prosecutor’s Office of the Autonomous Republic of Crimea opened a criminal investigation into the facts of illegal searches, detentions of activists and death of Vedzhie Kashka. QHA prepared a video about the life and struggle of a veteran of the Crimean Tatar national movement called "Vedzhie Kashka is a symbol of the struggle of the Crimean Tatars".